Drettmann as the exclusive dealer for Europe, Russia and Ukraine of the award winning shipyard Gulf Craft is delighted to announce the addition of the new flagship Majesty 175, to the sales fleet. The custom 54m Megayacht is currently under construction in the United Arab Emirates, her bold profile and chic interior both hail from the drawing boards of Italian design studio Cristiano Gatto. 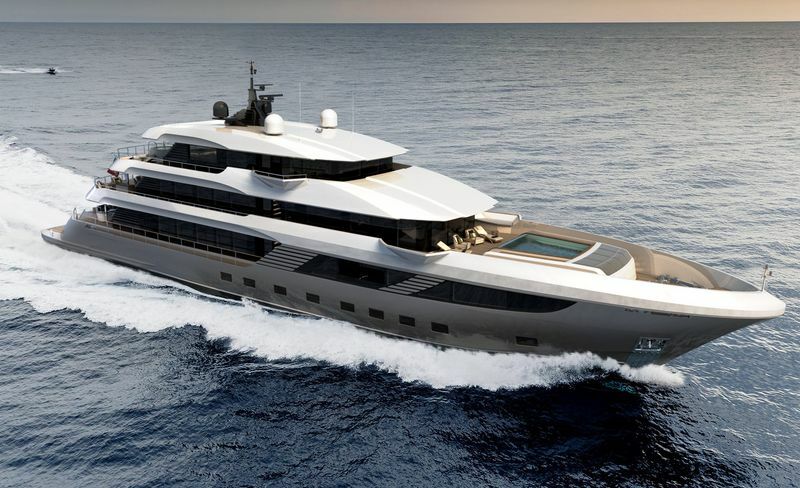 A voluminous design expertly incorporates a seven cabin layout complete with private owner's suite on the upper deck and VIP accommodation located on the main deck. Enlarged windows and increased levels of light create a modern ambience throughout the yacht and ensure full interaction with the outside environment. This feeling of space is further reinforced by the foredeck swimming pool, beach club and main deck gymnasium. Developed as a direct result of the successful Majesty 155, the 175 has utilized the proven hull platform with the addition of enhanced qualities resulting in a larger vessel with a trans-Atlantic capability and over 4,000nm range. Albert Drettmann, CEO of Drettmann International, said the decision to venture into the world of megayachts comes as a natural progression for Gulf Craft, which for more than three decades has been helping seafarers explore the world’s waters with its expanding portfolio of oceangoing yachts. We are really looking forward to welcome this outstanding megayacht in 2019!